Mr. Thomas Kimble Williams, 90, of Campbellsville, KY, died on April 15, 2018 at Hardin Memorial Hospital in Elizabethtown. 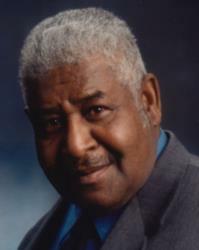 Mr. Williams was a native of Campbellsville, KY and the son of the late George and Eddie Williams. He was a member of Mt. Union Baptist Church and served in the U. S. Army. He was preceded in death by wives, Mary Patterson Williams and Lydia Payne Williams; one son, Jeffery Williams; brothers, William Henry, Leslie W., Dewey, George Wesley and James Franklin Williams. Survivors include one daughter, Regina Williams of Louisville, KY; one step-son, Paul Patterson of Campbellsville, KY; two sisters, Catherine Johnson of Columbus , GA and Florida Louise McKinney of Aurora, IL; four grandchildren and two great-grandchildren. Funeral service will be held at 2:00 pm on Saturday, April 21, 2018 at Mt. Union Baptist Church in Summersville, KY with Rev. Michael Ash officiating. Burial will follow in the Mt. Union Church Cemetery with military honors. Visitation will be from 11:00 am to 2:00 pm on Saturday, April 21, 2018 at Mt. Union Baptist Church. So sorry to hear about your loss. Hold on to God’s unchanging hand. I know he will see you through.